Shoppers like to “keep it local” in Hawaii, and embrace athletes from the islands that make it big as a professional football player. Due to the remote nature of Hawaii, there are less football Camp options available, so providing more access to young players is great for the community. 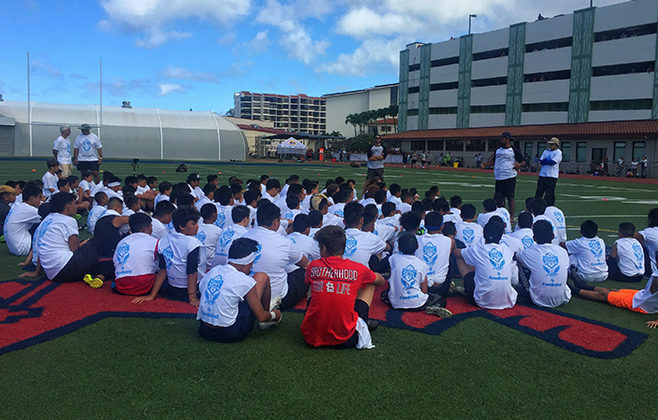 BDM designed a custom Youth Football Camp presented by P&G and Foodland, with a coaching staff that featured 7 ex-NFL players, all Polynesian players with local ties. Participation in the camp was offered as GWP for kids in Grades 1-10. Retail XP events drove awareness & registrations, and we also contacted local after-school programs with camp details. The final event included almost 150 enthusiastic Participants, and more than 500 Family & Friends watching from the stands! Football fans in Hawaii love opportunities to get up close and personal with their favorite, local players. We developed a unique program in Oahu with quarterback Marcus Mariota - his first public appearance event! At three different Walmart locations, Marcus took more than 2,500 photos with eager football fans and spent quality time with store associates. A big win all around! 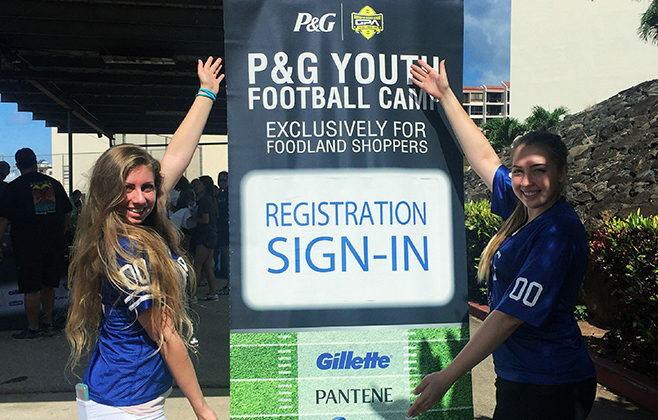 BDM crafted a custom P&G Youth Soccer Clinic for activation in retailer parking lots. Each of our clinics was free to the public, and featured USA Soccer certified coaches instructing kids age 4-12 to achieve five unique skills stations. In partnership with our Retail Customers, we delivered all the hydration products needed on a hot Texas day! Plus, snacks, games, and P&G product samples were available all day long.